Save valuable time during installation! 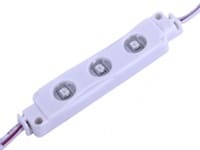 Our LED Modules strings are already connected together and they come in a variety of shapes and sizes, and if you require separate LED module pods for your projects, we have that too. Our mini LED module lights are absolutely tiny making them great for lighting up small, compact spaces like your glove compartment. 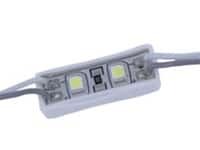 All of our LED module lights are waterproof so you can use them just about anywhere in your home, on your boat or on your RV. 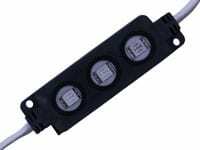 How to choose an LED Module? 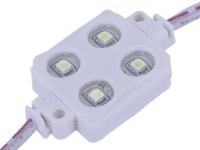 LED modules are tiny, waterproof and bright. 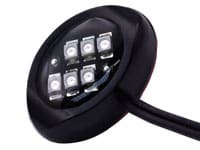 They connect to any 12 volt source (for example a 12V battery, or an AC Adapter). 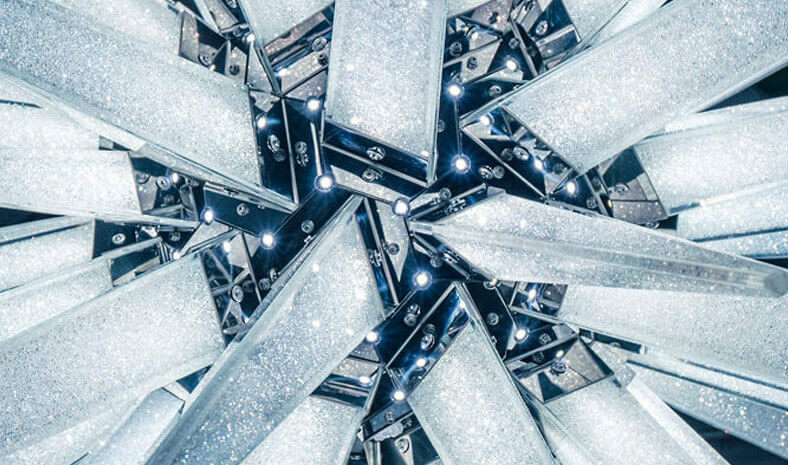 Whether you just want one, or a whole string of LED Modules, we have many styles to suit your project. One of the most common uses for our LED Modules in a string is for backlighting signage. Each set of LEDs is already prewired and connected to each other a few inches apart, so you can backlight an area. We also offer an attractive standalone LED Module which looks great even if visible. Its available in either a black or silver chrome housing, and straight/round configurations. It even has a strong 3M peel and stick double sided tape. This one isn't strung together, but rather only has one pair of 12V + and - wires coming out.